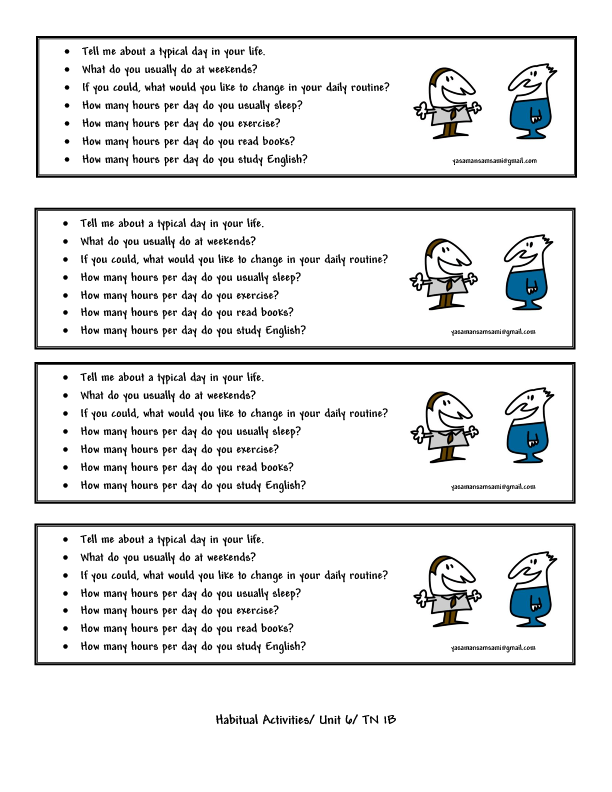 I have designed this PDF for a speaking practice about habitual activities. 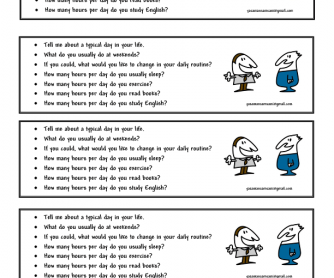 Put the students into pairs or small groups and have them talk about their daily routines. It is designed for different levels. Hope it works.